Penguins in New Hampshire? Not really but Loons are a close living relative of penguins and belong to a group of birds called “tube-nose swimmers”. Loons date back to the ice age. 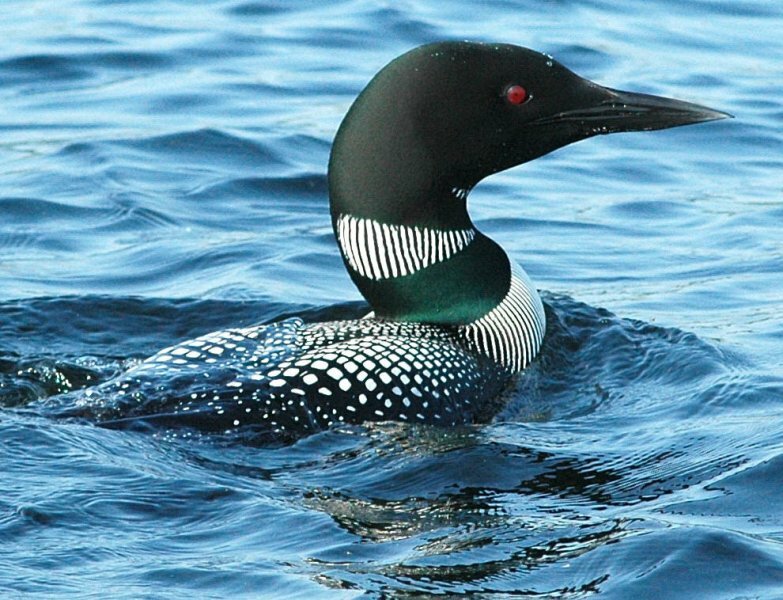 Loon are excellent swimmers and prefrer to live in clear lakes because they can more easily see their prey through the water. Loons can live as long as 30 years and can hold their breath for as long as 90 seconds underwater. Ask us visiting NH or share comments. To feature your business, contact us. The loon uses its pointy bill to stab fish, crawdaddys or other prey. They eat vertebrate prey headfirst to facilitate swallowing, and swallow all their prey whole. North America is home to five species of loons, including the Red-throated Loon (Gavia stellata), Pacific Loon (Gavia pacifica), Arctic Loon (Gavia arctica), Yellow-billed Loon (Gavia adamsii) and Common Loon (Gavia immer). The Common Loon is the most widespread and well-known species, and the only one that breeds here in New Hampshire. Loons can inadvertently eat small lead pellets, released by anglers and / or hunters. This can contribute to lead poisoning and the loon’s eventual death. It is for this reason that NH and others have banned the use of lead shot and sinkers. 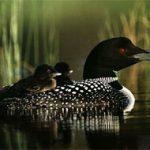 Loon are currently living and breeding on several New Hampshire bodies of water including; but not limited to Perch Pond, Lisbon, Back Lake, Pittsburg, Lake Umbagog, Errol, Pearl Lake in Lisbon, Squam Lake, Holderness, and others. 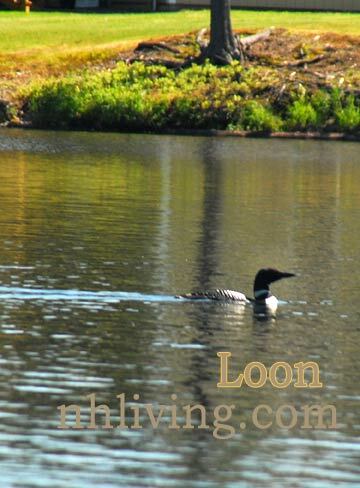 Loon are elusive and will dive deep and then re-appear in another area of the lake. 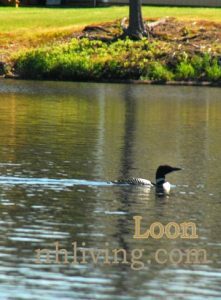 The loon is a fast and efficient swimmer. Loon are weary of humans. 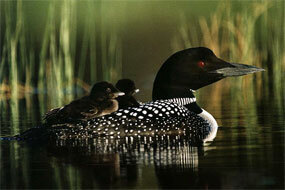 If you are photographing loon use a telephoto or zoom lens – loon will dive and swim away from approaching visitors. Contrary to popular belief, pairs seldom mate for life – at least according to recent studies from Biologists at Chapman University. Loon pairing for life is not likely – a typical adult loon may have several mates during its lifetime due to territorial takeover. The eeerie “ow-ooooo” call of the loon adds to the thrill of your lakeside visit. Listen for loons, photograph from a distance but don’t disturb a nesting loon – it is a state offense.